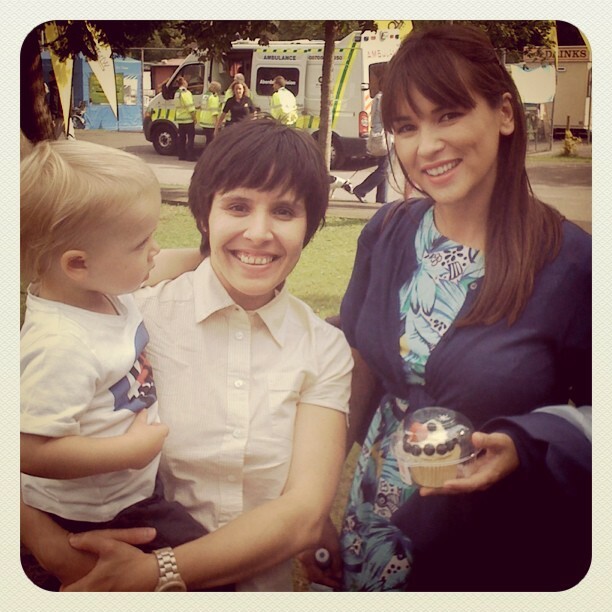 So I was lucky enough to have my copy of Little Paris Kitchen signed by Rachel Khoo herself at the Big Welsh Bite, she even gave Arthur her beautifully decorated cupcake which was covered in plump blueberries which he gobbled up in no time. 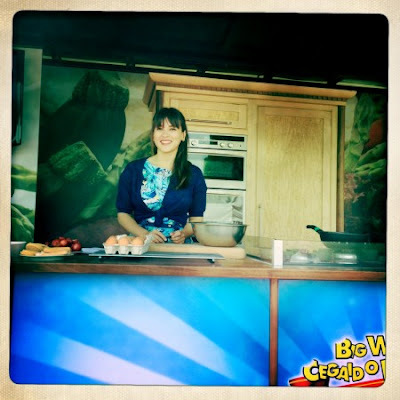 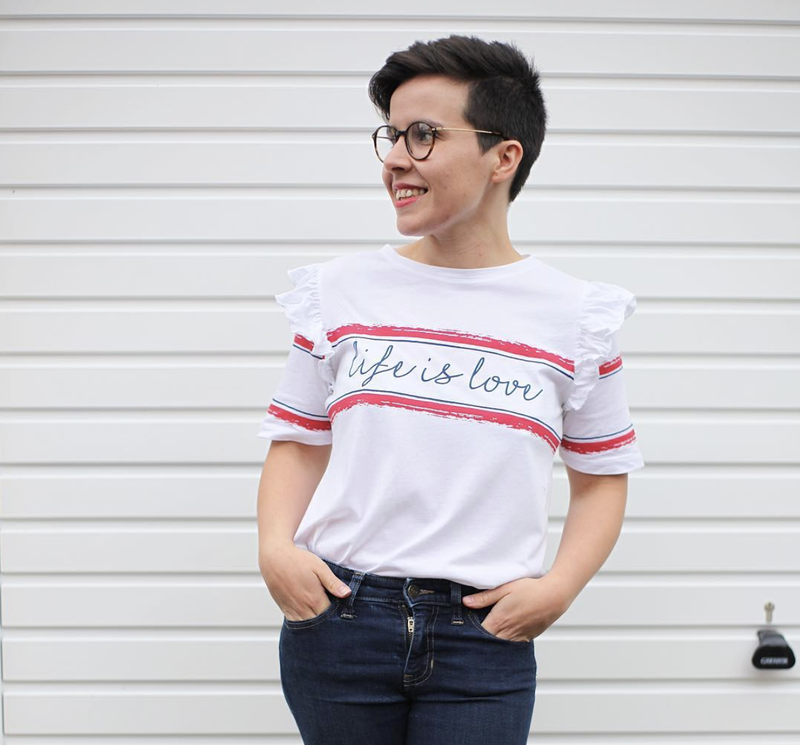 For those who don't know Rachel Khoo she is a former fashion PR girl and St Martins graduate turned French inspired chef and parisian resident who has a wardrobe, flat and bohemian lifestyle we all wish we had. 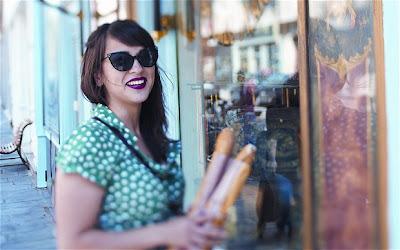 Before turing to food she worked in Fashion, which can clearly be seen in her collection of beautiful, chic and vintage pieces, she then on a whim packed up and moved form London to Paris where she Au-paired and completed a 3 month Patisserie course at the famed Cordon Blu cooking school and well the rest is history. 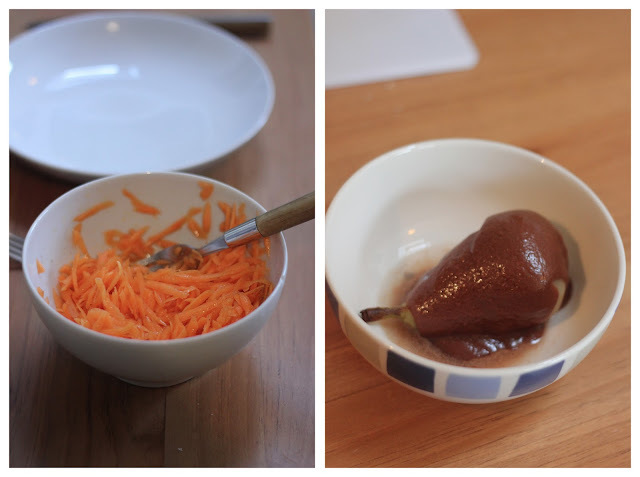 Inspired by some of her recipes I attempted my own versions of the fresh carrot salad and Pears with a rich chocolate sauce - with everything time is of the essence when you have a toddler running around so I didn't leave the pears overnight and I am also quite health conscious so I swapped the sunflower oil for Olive oil for the carrots dressing and went for low fat Creme fraiche for the chocolate sauce and both seemed to work well.